You're ready to take your admin career to the next level. But where do you start? How do you make it happen? Attention Administrative Professionals: Yours is perhaps the toughest position in any organization. My name is Chrissy, and I know because I’m a proud former executive assistant. I’ve experienced the unique challenges of the admin role—and the unique rewards. To this day, I have the deepest admiration and appreciation for all you do. But support professionals need support too. That’s why I developed my custom training and development program, ELEVATE Admins. This program educates and empowers admins like no other program on the market. Since 2009, I’ve delivered the ELEVATE Admins program on-site at some of the world’s most well-respected organizations, including Capital One, Northrop Grumman, and dozens more. This program has consistently helped admin teams boost productivity and performance. The totally interactive experience creates a fun, engaging learning atmosphere unlike anything else available. ELEVATE Admins has been truly life changing for the admins who have experienced it. However, I’ve come to realize that hosting on-site training programs isn’t always realistic for every organization. Some companies have small admin teams, making the investment hard to justify. I’ve also found that many admins crave development, learning and support—and they’re willing to do it on their own. They don’t need organizational backing. They just need access. 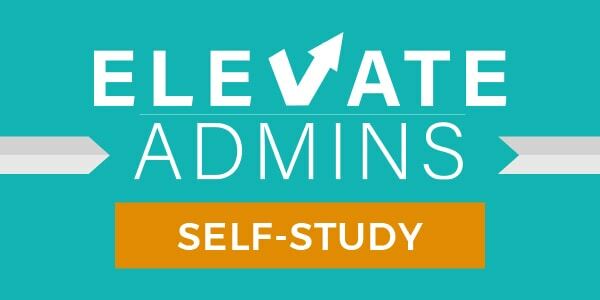 That’s why—for the first time ever—I’m opening up the ELEVATE Admins materials as a self-study program. While the onsite program is fully customized to meet the needs of the team I’m working with, this self-study includes elements from all of the core concepts. It’s a consolidated package of learning materials that you can work through at your own pace. Think of it as your own personal workshop. This is the next best thing to having ELEVATE Admins onsite. It’s an ideal learning opportunity for admins at all levels in all industries. But the true results are much more extensive than this list. You will experience greater job satisfaction and a deeper level of professional investment. In turn, you will serve your executive(s) and the organization in more meaningful way. This session offers a review of key insights, answers to frequently asked questions, and final suggestions to ensure concepts are implemented successfully. This digital download (PDF) is yours to keep forever. This guide includes an extensive series of 100+ additional self-reflection questions and activities for exploration of topics on your own or with fellow participants. Downloadable one-page documents that highlight the key lessons for each core and advanced competency, as well as the 4 power tools. All workbooks are downloadable PDFs that are yours to keep. They include comprehensive self-assessments, templates, case studies, resource lists, roadmaps and more. 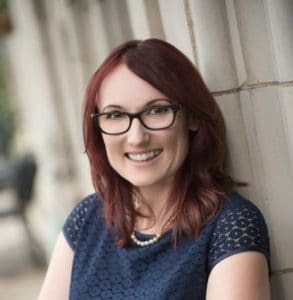 Chrissy will help brainstorm solutions to any challenges you’re having implementing the strategies. During this session, Chrissy will also evaluate your overall comprehension of the materials. Upon completion, if you have demonstrated a thorough understanding of the program materials, you will receive a signed Certificate of Completion. You can access all the videos and materials and schedule your coaching session with Chrissy immediately after purchase. Purchase of this program is good for ONE individual participant. If you have a group of admins in your organization who would like to participate, you may be eligible for special pricing and additional options for delivery. Please inquire here. If your organization is interested in bringing ELEVATE Admins onsite, please submit a request form to learn more about how it works. All materials are copyright protected. You may not share your materials with any non-paying participant.